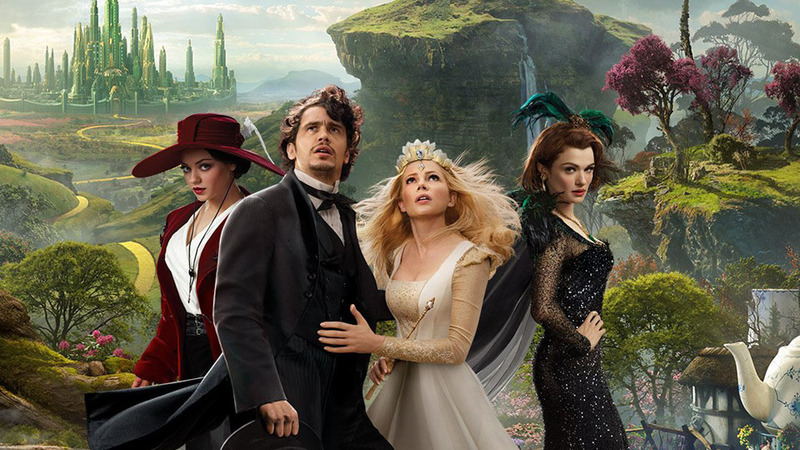 Oz the Great and Powerful is the prequel to the story of a man we all remember going on a very long adventure to find when we were young, and director Sam Raimi has done the impossible of seamlessly blending the nostalgia of the 1939 classic with the promise of never before seen backstory that would ultimately fill in more than a few gaps in the story we know and love. It follows the life of Oscar Diggs — “Oz”, for short, who spends his days as a philandering carnival magician, traveling through Kansas. James Franco delivers a decent performance as Oscar, but doesn’t really have the same vibe as the mystical Wizard from the original movie. Selfish and severely lacking in the moral department, Oscar relies on smoke, mirrors and charm to get through his every day life. He treats his assistant, Frank (voiced by Zach Braff) like dirt and lies his way into the hearts (and pantaloons) of naive Kansas country girls. 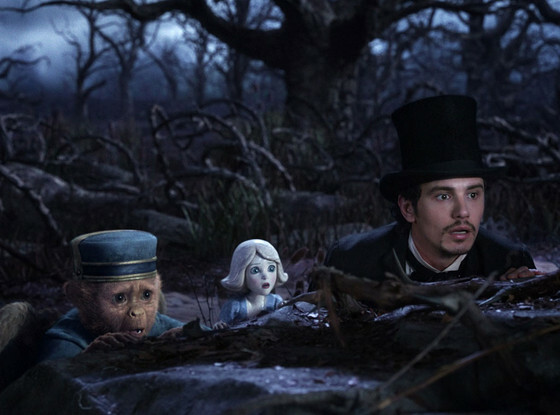 Surprisingly, Disney’s take on L. Frank Baum’s The Wonderful Wizard of Oz story was a little more adult than I had been expecting, although viewers shouldn’t be too stirred up considering the mind behind the film. Raimi’s smooth transition between titles such as Evil Dead or Drag Me to Hell and this visually lush Disney treat is impressive to say the least. In the same fashion of the original classic, all of the Kansas-based scenes were shot in the nostalgic black and white 1.37:1 image, which is what was used before the widescreen era began in the 50s. About twenty minutes into the movie, the screen widens into stunning Technicolor for the beautifully enchanting Land of Oz. Oscar comes to a crash landing and is discovered by the first of three familiar witches, although this one isn’t so familiar at first. One of the most enchanting parts of this film is the fact that it’s not only a prequel to a singular character, but to a wide range of characters. From the Wizard to the Wicked Witch, and even the story of the witch whose later death comes from our friend Dorothy’s future crash landing in the middle of Oz. Presumed to be the prophesied savior of Oz from the Wicked Witches of a Wizard who bears the same name as the land, Oscar is motivated by greed and a desire to bed one (or more) of the witches to lie about his identity and pretend that he is indeed the fabled Wizard. His selfish antics result in many of the problems that Dorothy will deal with along the road, and it’s fun little package that wraps up nicely into what we remember from the original. The witches are a key part of the Oz tale, and you’ll recognize the ethereal golden bubbles-and-frills feel from Michelle Williams‘ portrayal of Glenda the Good that you remember from before. 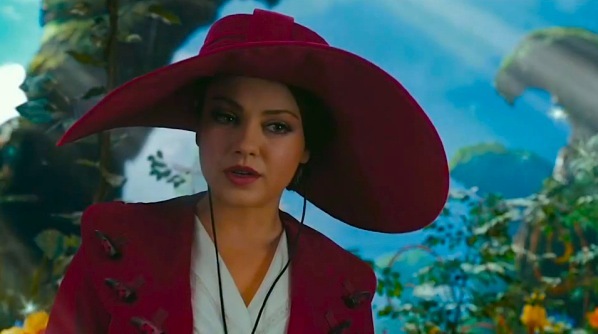 Theadora, played by That 70s Show star Mila Kunis, was a strange mix of Carmen Sandiego meets naivete that I didn’t quite buy, and I was surprised by her stiff and uncomfortable performance. Her development as a part in the backstory of this prequel and its importance to the franchise made it even more disappointing when she didn’t quite deliver, although she looked beautiful through most of the film. The special effects chosen for her character later on were another thing entirely. 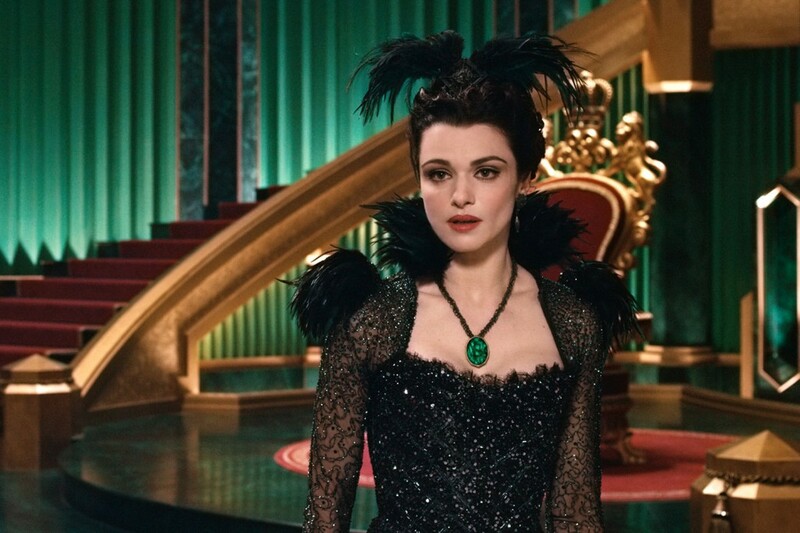 Rachel Weisz brings life and depth to a character only briefly touched on before in the original film, although it was nothing really to write home about in and of itself. 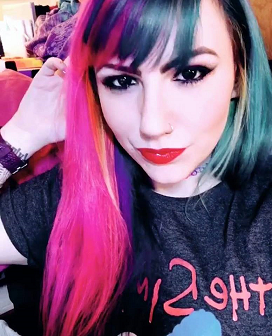 There is a scene later in the movie that features her reveling in the chance to finally weaken the Good Witch’s light, and it was probably one of the better interactions between the females in the film, and one of the first scenes where she seemed truly wicked. Although the end is somewhat predictable, as is to be expected in order to achieve some sort of continuity with the childhood favorite, Oscar’s journey to that end point and through the land filled with exotic new creatures and familiar sprawling landscapes is enough to mesmerize not only the children in the audience, but the adults as well. The 3D is used expertly and much of the movie feels sort of like being on one of the simulator rides at Walt Disney World, minus the jerking movements. Similarities and differences are noticeable, but not overly distracting — This film is able to stand on its own, but is definitely better with a working understanding of what comes next. Possibly due to the copyright infrigement agreement between Disney and MGM, many details were left out or altered. The flying monkeys are now flying babboons, the Wicked Witch of the West no longer bears her trademark wart and there are no mention of the glittering, ruby slippers that were a staple of the original Victor Fleming classic. Don’t worry about not getting enough of that special magic of Oz due to legalities, though — fan favorites such as Emerald City and the Yellow Brick Road are all right where you remembered leaving them, coupled with almost every second being saturated with the technological advances in the special effects department of the movie industry since 1939, and the CGI involved is nothing short of breathtaking. While it doesn’t have the same sing-along musical quality that its predecessor offered, Oz boasts a gorgeous score by legend Danny Elfman, and he does not disappoint. The opening credits in particular are visually and auditorily stunning, playing like a sort of dreamlike puppet theater alongside the Tim Burton-esque feel of Elfman’s music and CGI. Instead of our beloved scarecrow, lion and tin man, we’re introduced to new characters that join Oscar on his journey to defeat the wicked witches and free the people of Oz. Zach Braff plays double duty as not only Oscar’s assistant from the carnival but as a wise-cracking flying monkey bellhop named Finley as well. Like Braff, 13-year-old Joey King has two roles, as a young wheelchair-bound Kansas girl who believes in Oz’s magic and begs him to help her walk, and then later as sweet and sassy China Doll who Oscar finds some redemption in saving after her village is destroyed by the Wicked Witch’s cruelty. 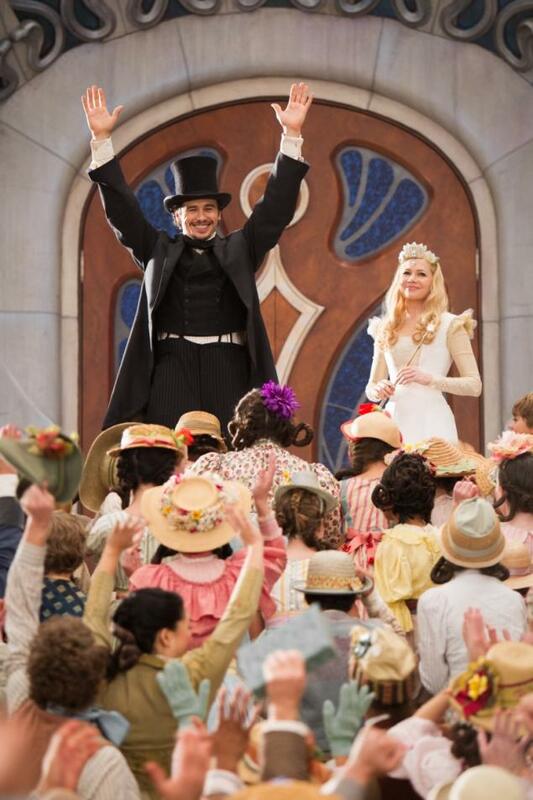 Overall, The Great and Powerful delivers a fantastic and memorable experience for both older fans of the original cinematic classic as well as young children just becoming aquainted with the beauty and magic in the unforgettable Land of Oz, complete with a Bruce Campbell cameo and a Munchkin musical number.